A minor can have one active permit during the school year and two during the summer. Upon leaving a job, the minor or the employer should return the employer copy of the permit to the Department of Labor so that it can be deactivated. 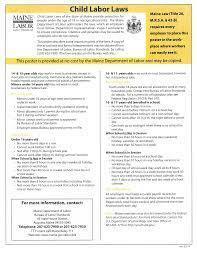 Check out the State of Maine website for more information about work permits.